Xiaomi is a company that gets involved in diverse products and services which expands the reach of the establishment. This company has a loyal set of fans who usually love to make most gadgets in their homes Mi related. Recently, the company released a heater that is meant to keep users warm during winter and the crowdfunding result is amazing. Tells how much support Xiaomi gets from its users. According to the company, the Xiaomi heater sold over 30,000 units and the total crowdfunding amount exceeds 9.43 million Yuan ($1.3 million). This is quite impressive for a newly introduced product. The Xiaomi heater has a crowdfunding price of 299 yuan ($44). It uses a convective circulation heating method to first heat the local air inside the house to form a density difference with the cold air. This product has a built-in iron-chromium alloy heating wire, which is wrapped by “X-type” alloy heat sink. It has high heat conversion rate and can generate strong heat when it is energized. 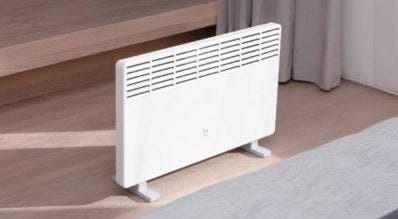 Moreover, the Xiaomi heater adopts a side heat dissipation port design, and the warmth preferentially reaches the knee level which ensures that the legs and feet get warm first before it radiates through the body. In addition, the Xiaomi heater can link the Xiaomi Mi AI speaker voice control key for temperature adjustment and other functions. It can also access the Mijia App to achieve free temperature regulation from 20 °C to 32 °C. It is worth noting that the Xiaomi heater runs quietly and it has no whistling sound as it works.